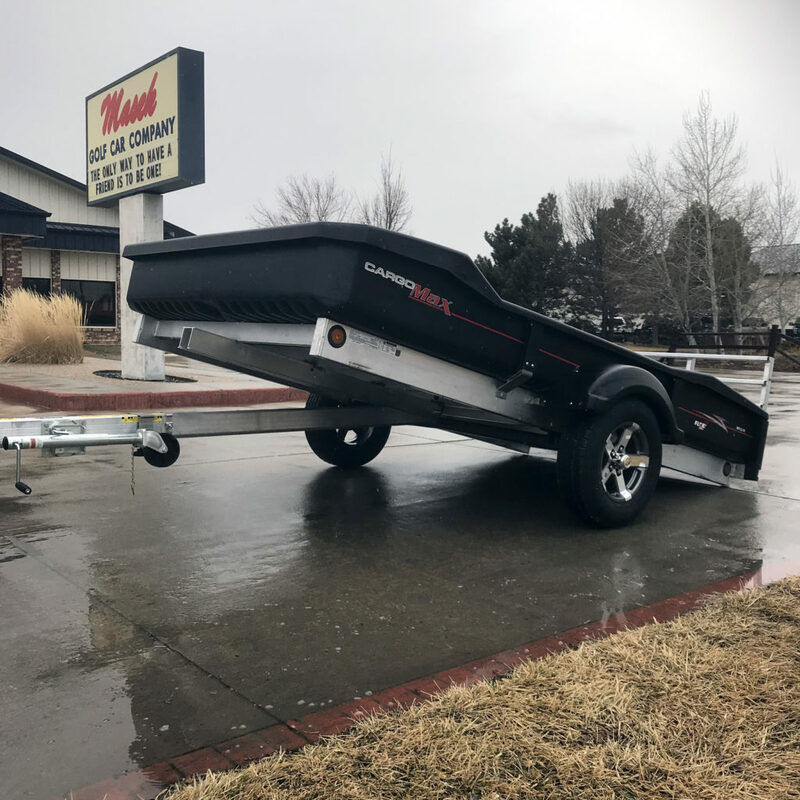 CargoMax™ is the sport utility trailer that is redefining an industry! With the industry’s only Ultra Body™ and fender system that is guaranteed to never rust, rot or need paint – ever! The uni-body design includes virtually indestructible side walls which remain durable even in sub-zero temperatures. FLOE’s exclusive floor trussing system delivers maximum strength, excellent water drainage and superior cleaning ability. High strength-to-weight ratio extruded aluminum frame never rusts or needs paint. Lightweight enough to be towed by a compact car and allowing it to be easily moved by hand, yet rigid enough to handle heavy loads. All joints fully welded ensuring extreme rigidity and durability. Heavy-duty rust-resistant axles & wheels. Independent rubber torsion suspension tames the worst roads and handles heavy loads. Superior hub lubrication system lets you easily grease hubs without disassembly. Large speed rated wheels will stay cool over long distances. Extremely bright and long lasting commercial grade LED lights. Lights are recessed into aluminum frame, which prevents accidental breakage. Each light is independently grounded to the tow vehicle eliminating intermittent grounding issues. Molded wiring harness runs through the aluminum frame creating the ultimate protection for the electrical system. Helps to ease trailer movement to and from a vehicle. The handle makes moving the aluminum utility trailer around very easy. Empty tongue weight is only 33 lbs. Pulls the tongue tight and eliminates noise and vibration. Eliminates hitch pin and hole alignment issues creating a better all-around system. The CargoMax™ tailgate ramp system features two loading angles. “Level Ramp Mode” is for high clearance vehicles such as ATVs, and by sliding the limiter strap over the tilt clamp, you have a “Limited Tilt Mode” for low clearance vehicles like motorcycles and lawn mowers. The tailgate ramp removes in seconds with no tools. Simply lower the ramp to a 30 degree angle and pull it out of the bracket. Allows for easier trailer movement by hand. Can be pivoted up for travel and bolts easily through pre-drilled holes in tongue.